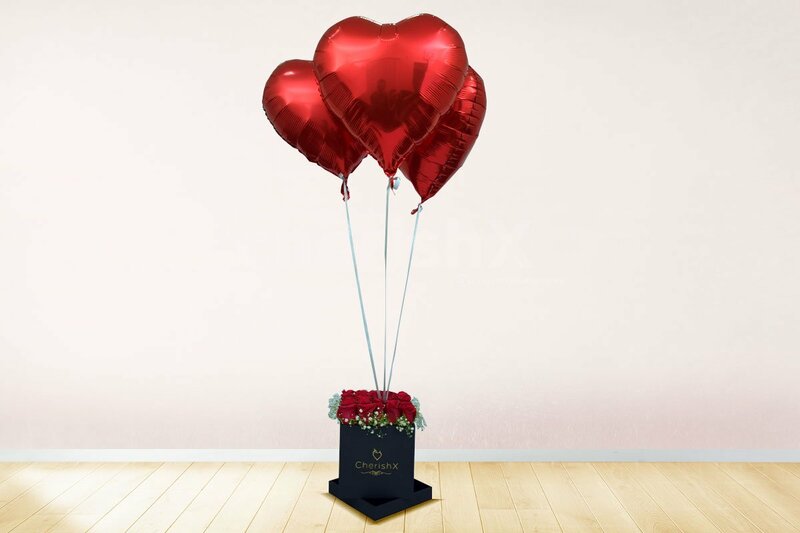 Amaze your partner on Valentines with these beautiful 3 heart-shaped foil balloons & rose bucket of 25 Roses. Everyone loves surprises & if its cupid approved day then surpirse toh banta hai! 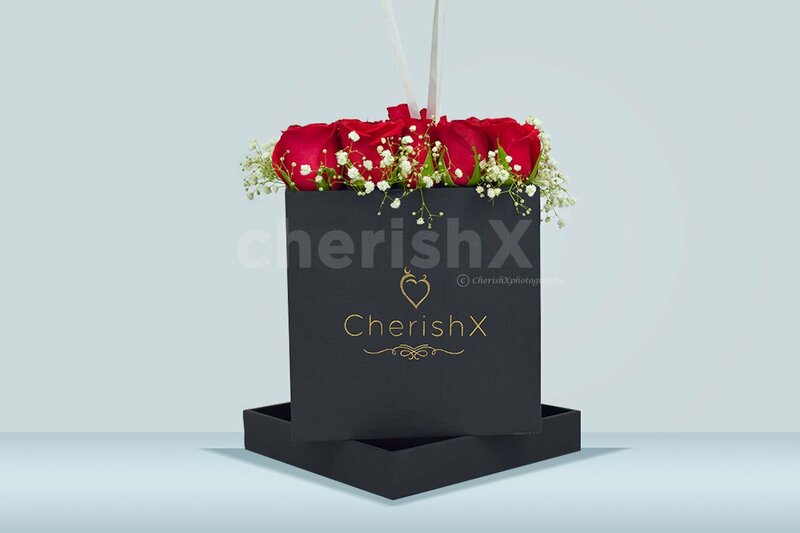 CherishX brings an all exclusive Valentines special range of gifts & surprises. 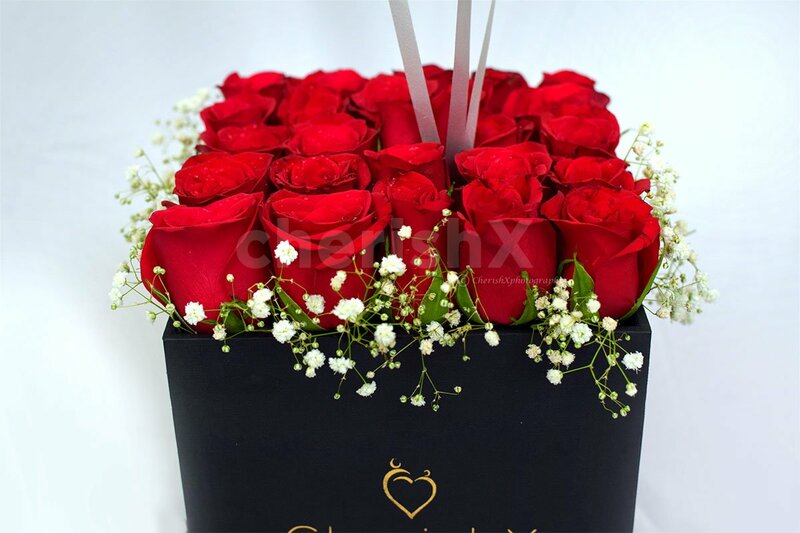 One of the top picks among-st those is this bucket full of red roses, all garden fresh & sweet smelling. Along comes a bunch of 3 heart shaped foil balloons, enough for winning the heart of your beloved. Imagine the happiness it will bring to the face of your sweety if she receives one of these in early morning..I mean what's better than that? Or you can arrange this gorgeous love bouquet to be delivered at their workplace to make everyone else envious of your bae! Think of the house bell ringing & your better half receiving this unexpectedly.. sounds good? 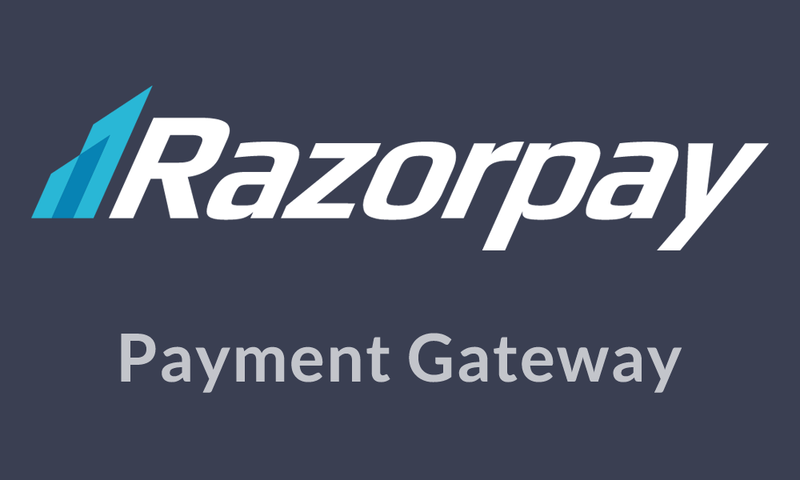 We have given you enough instances how to gift one on Valentines. Now it's all on you to make it worth & working. Hey wait! Do checkout customization list below to step up the game & ensure that love arrives this Valentine's Day! SuperLoad your bouquet with love by adding 10 more red Heart balloons to it!